The book I Ching, also called “Zhouyi” or “the book of changes” is irrefutably and unanimously considered as one of the deepest and determining roots of the Chinese culture. The origins of the concepts that it contains are lost in the depths of time to the point of founding itself with mythological figures who, in the imagination of the Chinese people, founded the world and created the human race on the Earth. In fact, traditionally, it is passed down in trigrams (which are combined into hexagrams) that specify the principles expressed in the book created by Fuxi, a semi-mythical figure very dear to the Chinese people, who created man and taught him the social rules along with the methods of procuring food (hunting, fishing, agriculture, etc) and to preserve it, allowing them to survive on the earth. These principles have been gathered and presented in modern form from the beginnings of the Zhou Dynasty (1046-6 a.C.), making this book, going back 3,000 years ago, the oldest classic of Chinese culture and literature. The basic concept of this book, which includes all its philosophical and expressive powers, is that nothing is permanent in the world except for change. Once again, as in the majority of classics of Chinese culture, its expressive base and source of its meanings is nature in its different forms and images such as animals and plants; phenomena like thunder, storms, lightning and winds; its geographical forms such as lakes, mountains and rivers. I’m convinced that your Western rationale has triggered a strong and determined skepticism reading the title of this article due to the two words “divination” and “infallible” mentioned one after the other. So, before you lose the will to keep reading, I believe that it’s worth the trouble to explain the meaning. In this case divination isn’t actual visions of the future, and has nothing to do with predictions of so-called magi or holy men where a certain level of charlatanism is exalted and rewarded by broad popular belief. In human history (more or less real) the ability to foresee the future has always been of interest, and many ways have been thought of and tried to receive answers to guide the choices of individuals in difficult times. In Western history one of the most lasting examples is certainly the famous Oracle of Delphi: Cybil. Her predictions were so accurate that sovereigns and emperors were willing to travel thousands of kilometers and present substantial tribute in gold and jewels to listen to her prophecies. Delphi, where you can still visit the ruins of this mysterious site of pagan worship, was even instituted as an open place where troops of soldiers of any king, even during periods of war, had the right to go there without being attacked. The way that the Oracle of Delphi made accurate predictions was through a vast network of spies throughout the world known and maintained with the gold of tribute, who informed the “priests” so that they could predict the future movements of this or that state. For example, if the spy in Persia reported that all the blacksmiths of the empire were building weapons and that there was a conscription of millions of soldiers, then the soothsayers had good reason to foresee an imminent war; or further still, if the spies in the mountains of the Nile (for example) noticed an abnormal lack of rain, the soothsayers could easily predict an imminent famine for the Egyptian people; and so on. The Chinese way, which for obvious reasons became the Asian way developed from another direction: instead of being based on an enormous amount of information, it is based on the interpretation of the laws of nature, which are unchangeable and regulate everything, often willingly decreeing the success and lack of success of human efforts. This book contains the secrets of the Chinese way of predicting the future, which shows itself to be quite efficient and very effective and contains more than anything else wise suggestions that indicate the road to follow to reach your objective. This means that the answers in the book are rarely (one could say never) totally positive or totally negative; but most of the time you’ll count on a series of general advice to indicate which situations to consider and which conditions can guide you toward victory or defeat. 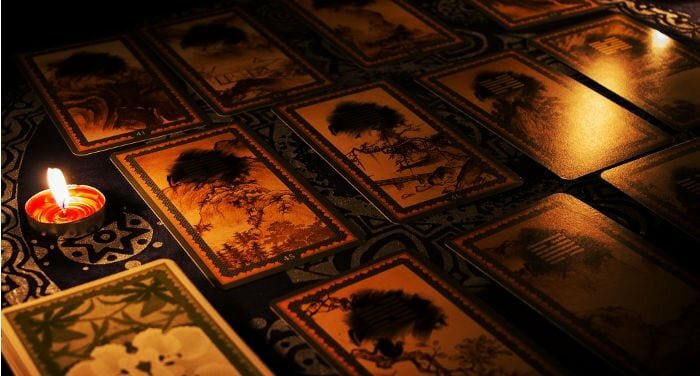 In this sense the book’s prophecies are infallible, since they are more than anything else dispassionate suggestions that will allow you to see the situation in a different light, and you can understand if you’re in a favorable or unfavorable position to take on a specific initiative or activity. In few words, it won’t tell you if you’ll have success or not, but will give you answer like this: if you act this way and consider these aspects you’ll have a higher chance of success, but in any case you’ll have to watch out for these dangers; but if instead you act like this and this without considering that, you’ll definitely fail. The wonderful thing about all this is that, while these days it isn’t possible to consult with Cybil and intelligence reports are secret and available to just a few with military and economic purposes, the Chinese way is still open to everyone. Moreover, since the laws of nature (human and material) haven’t changed, it still holds its effectiveness. Historians agree that the book was written at the end of the Shang Dynasty by the founder of the following dynasty who reigned over the fertile and vast plains in the center of which is China today. The Shang Dynasty developed starting in 1600 B.C. and was destroyed by the king Wu di Zhou in 1046 B.C. While at the beginning of the Shang Dynasty the rulers demonstrated great capability as commanders and made the kingdom prosperous and powerful, toward the end of the dynasty the rulers began to lose control of the state and themselves, eventually arriving at the last one, Di Xin (1075–1046 a.C), who went down in history as a legendary symbol of moral corruption. For example he had a pool built in his palace that was big enough to be navigated by canoes filled with alcohol, and in which he had a little island installed with trees from which roasted meat hung so as to have a good time with his numerous concubines. The expenses that came as a result of his lifestyle translated into taxes that strangled the population and impoverished the enormous riches accumulated by the dynasty during the previous 500 years of rule. For those who tried to reason with him or get him to change his mind, he invented a system of tremendous torture that inevitably brought death through atrocious suffering. One who was imprisoned for having tried to give the king advice was his minister known as Re Wen di Zhou, a man of proven moral integrity that, although belonging to the Zhou clan and not the Shang clan, several times, in vain, tried to get King Di Xin to stop the total losses into which he was slipping. When he was imprisoned he used the abundant time he had available to write, reorganizing fragments of already existing works into the book that is today called by the name “Zhou (the book of) changes” which then took the name “I ching”. After his death, his son Wu grew the strength of the Zhou clan to the point of overthrowing the reigning Shang Dynasty, defeating Di Xin in the battle of Muye in 1046 B.C., where the Zhou army though greatly outnumbered (about 10 to 1) defeated the discouraged Shang soldiers, forcing Di Xin to suicide. After taking power and inaugurating the Zhou Dynasty (1046-256 a.C.), Wu paid homage to his father conferring upon him the posthumous title of king, making him the actual founder of the dynasty. You can therefore affirm that the book was written by a king, King Wei, founder of one of the longest dynasties in history (not just Chinese) that lasted for about 800 years. The basis on which the book is organized and the development of divination through it is made up of a collection of graphic tricks called hexagrams. These hexagrams are called that because they are made up of 6 lines in sequence, vertically, that can be continuous or broken. The various possibilities of tracing these six continuous or broken lines in sequence gives rise to 64 different possible combinations, all different from each other, that form the structural basis of the entire divination process. an image that represents a situation in nature and that should guide us in understanding the general situation expressed in the comment mentioned in point 1. All is usually condensed into a few lines and there’s certainly no waste of words, being able to adapt to all situations while leaving a certain space for interpretation. The hexagrams are dividable into two trigrams: a bigger and smaller one. There are 8 possible in all and they’re associated with manifestations in nature such as the sky, lake, thunder, wind, and the mountain and also include a few primary elements such as fire, water and earth. The combination of the 8 trigrams forms 64 hexagrams, to each of which is associated a number (see table one fig. 1 in the following section “how to use the book”). Understanding the secrets of this structure, based on a continuous line and a broken line repeated 6 times (3 plus 3), has sparked a long and fruitful though unending debate of entire generations of historians that these days have spread through the whole planet, becoming globalized. The oldest (and most famous) commentary found was written by Wang Bi who lived between 226 and 249 A.D. and presents an interpretation that is surely what has had the most success and is still today the most followed. The key of the reading that Wang Bi proposes is based on the ancestral concept of duality, Yin-Yang, where the continuous line represents the Yang and the broken Yin. Despite being the most widespread and discussed over the course of the millenniums by eminent Chinese historians and others, this theory contains marked weaknesses that are making it the object of an annotated revision on the part of the Chinese expert community. One of the most remarkable frailties of this theory is that the concept of the Yin-Yang appears anachronistic for the time in which the book was written which, as was said previously, goes back 3,000 years, about 500 years before the development of the Taoist theories of Lao Zi and his famous treatise Dao De Qing (anyone wanting to learn more on the subject can find more information in this article). Moreover, the book’s ambition is to be very practical and not present philosophical concepts which, though they might be applicable to daily life, by necessity keep a certain dose of abstraction. Another observation that brings one to doubt the correctness of the Yin-Yang interpretation, is that the character for the word Yang never appears in the book and the character for the word Yin appears only once in hexagram number 61, but with a meaning that is apparently quite different than what it is attributed in the context of Taoist semantics. Furthermore, the concept of gender, intrinsic to the Yin-Yang dichotomy (Yin for the woman and Yang for the man), doesn’t appear relevant in the development of the book that was written in a time where, despite the patriarchal mark, saw many women in top positions of power that were used in conducting military expeditions and affairs of state, and for this, they also needed a tool for divination that would help them make important decisions: the character used for Yin has the radical of hill and not woman. Finally, the Wang Bi commentary refers to transient lines like Yin and Yang, while in the book they are derived from numbers 6 or 9 as a passage from strength to weakness, intending the fluid nature of change that is the main subject of the book. Perhaps, since Wang Bi was a fervent supporter and student of the Taoism of Lao Zi (he also wrote a very famous commentary on that book as well), in elaborating his interpretation he was heavily influenced in his world vision. Another theory that deserves a mention for its appeal (more than its ability to convince) is the one that points to the similarity between the full line and broken line system and the binary system used by modern computers, hypothesizing that the ancient Chinese were somehow the direct predecessors of modern processors, and that this system was a necessary structure to get good results in calculating probabilities. I’d like to conclude this digression on the interpretation of the book’s structure by underscoring a fact for fans of numerology. The hexagrams that make up the basis for the book’s predictions are the combination of two trigrams; the transient lines that represent changes that are the subject of the book and the world’s motor are the number 6 and number 9, both of which are multiples of 3; the line meaning the greatest strength is given to 9 which is made by multiplying 3 times 3. It’s interesting to me how in both the Chinese and Western cultures, though developing independently from each other (at least in the remote epochs we’ve been talking about and always according to modern officially accepted history), the 3 represents a sort of divine source both in our religion (God is three in one – father, son and holy spirit) as well as the Asian culture. Certainly, the question as to why this graphic structure was chosen among so many possibilities and how it is so effective in answering our questions on the future still remains open and no convincing and definitive explanation has been given: it remains a challenge from the past for future generations. This book shouldn’t be used like a normal book where you read it from front to back, rather it is to be used more like you would use a dictionary. This is how the book has always been used over time for purposes of divination, even for the official imperial exams it was necessary to completely know it, mainly as a behavioral guide, for those looking to gain positions of public office for quite some time during China’s history. In this case however what was deeply studied were the various commentaries, especially that of Confucius, which became one of the official books to know inside and out for entire generations of civil and military officials. In reality you can also read the various commentaries in order with explanations for each hexagram, but doing so you’ll lose the true meaning of the succinct and brief comments that make sense only if applied to a certain specific situations. There are many ways to use the book for purposes of foretelling the future. The simplest and most popular is the so-called 3 coins. Below I will give a hypothetical example to show the mechanism to use in order to use the book for divination purposes by following the “three coins” method. Take 3 coins of equal size, pen and paper and you’re ready to begin. On the upper part of the piece of paper, write in clear characters that aren’t too small the question you’re seeking an answer for. The question shouldn’t have multiple answers and should contain a time factor. It could be about anything, from work to love to friendship to a vacation spot to a hypothetical idea, but it’s best if you make it about yourself and not other people. The question in our example is: will I get a promotion by the end of this year? Now repeat out loud the question while “shuffling” the coins in your hands. Toss the money and note the result in heads and tails starting from line 1. Repeat the procedure by always repeating the question out loud and fill out all six lines. At this point you must assign a fixed score of 3 points for tails and 2 points for heads and add them up; they’ll always be between 6 and 9. This is the first hexagram that reflects the immediate consequences of the actions you have planned. The hexagrams obtained are made up of a trigram in the upper part and one in the lower part and at the bottom of the table shown in fig. 1 you can get back to the number that corresponds to your hexagram. In our example the first hexagram that refers to the present is made up of a larger trigram which indicates the lake, and a smaller one that corresponds to thunder. On the table you’ll come across the number 17: which is the hexagram that we have to interpret and which will give us better indications since it refers to the present situation which is very important as a starting point. The hexagram that refers to the future is represented by the bigger trigram corresponding to fire and the lesser trigram corresponds to thunder. They meet at hexagram number 21. Now’s the most difficult part, which is to interpret the resulting hexagrams correctly, since a wrong interpretation will not only make it useless but even dangerous by causing you to act incorrectly. As was mentioned in the preceding section, the interpretation is the most crucial and difficult part. Interpreting these sentences that are usually already airtight as they’re written, was already a difficult task in ancient times. Those who showed themselves capable in this art gained the favor of sovereigns and emperors. These days their interpretation is even harder, since the ways to express these concepts and recommendations are strictly tied to the way of thinking at the time, which hasn’t come to down to us 100% intact, leaving plenty of space for speculation and different opinions. For these reasons, venturing into interpreting these sentences requires you to be a historian and fully know everyday life in China 3,000 years ago, a period where the book was written in the final version that came down to us today. In addition, while the Chinese can go directly to the source and read the directions as they were written, for foreigners that haven’t sufficiently studied Chinese to understand phrases written 3,000 years ago, the task gets further complicated since we have to read a translation that has already been largely influenced by the vision of the translator and is already, in fact, an interpretation. There’s no sure rule for understanding who is the best guide for discovering this world but I, with my mindset, greatly prefer those who don’t say that they know everything and leave the widest possible margin for your personal interpretation, after having provided a few basic elements accepted by the community of historic and linguistic experts of ancient Chinese history. After having read several translations and commentaries in various languages (especially English) I chose as my guide into this fascinating world Margaret J. Pearson, a very well studied and refined expert on Chinese culture, who since 1980 teaches Chinese and Japanese history at Skidmore college in Saratoga Springs, New York. In her book “The original I Ching” she doesn’t offer an actual interpretation, but a convincing way (at leas for me) to make a personal interpretation that I will explain later in this article. Getting an answer to the initial question isn’t immediate and requires a certain procedure and a dose of good will. On your piece of paper, under the question and the first hexagram, copy the first comment associated with the corresponding number to the hexagram indicated by the tossing of the coins. “From the beginning, success. Persistence is effective; no fault”. Below write your first instinctive reaction, whatever it may be, sincerely and concisely so as to use it later. Next consult the transient lines that are associated with 6 and 9. In our case you’ll have 9 at line 5 which says: “return to joy/excellence: you’ll have good fortune”. In addition there’s a 6 at the top: “if you tie them, then free them. Kings use a sacrifice to the mountains of the west. For each case write the phrase and your first comment. If it seems that your associated phrase doesn’t make sense, put a question mark next to it. Only read the comments that have to do with the positions of your hexagram and ignore those that aren’t relevant, since they could mislead your interpretation. Now read the image, write it and add your first reaction comment. “in this case the thunder is inside the lake instead of coming from the sky and this is the image to follow instead of leading. Write your first impression after having read the comment. Now you can move on to read the initial comment of the second hexagram by repeating the same procedure; except for the comments tied to the transient numbers, which having changed are no longer valid and shouldn’t be read. Concentrate on the words and their meanings that make sense to you and write your feelings about it. Don’t be surprised if the same people or problems begin to seem different to you after this process. At this point forget everything and go back to your everyday life as if nothing has happened. Then before going to sleep take your piece of paper again and re-read both your comments and the image, trying to visualize it deeply and clearly in your mind while you fall asleep. In the morning look for a quiet space and re-read the comments and image again: most likely you’ll have different meanings and reactions come to mind than the day before. Once again write down your new feelings about it and this time do so even more clearly and deeply than your first reaction mentioned before. You can also speak about it with people close to you that you trust and can help you see things from a perspective you haven’t considered until that moment, but can be crucial for the success of your interpretation. Repeat the process for a few days and you’ll see that at a certain point the answers will become clearer in your mind, and you’ll have your interpretation, which is completely yours, and in all likelihood the right one. The advice is to not immediately trust an answer if it appears too clear, and read everything again from the beginning carefully to understand the meanings that might have escaped you. A completely positive answer is very rare; Chinese history is full of examples that tell of people who due to a hasty interpretation run into troubles and end up in disgrace. The possibility of knowing one’s own future has always fascinated human beings looking for a sure way to guide their important decisions which, today as in the past, can make the difference between a miserable and comfortable life; or in many cases even between life and death. Together with the search for immortality, the ability to divine has been an objective of all civilizations throughout the ages by the diligent efforts and study of thinkers, monarchs, scientists, shamans and even sorcerers of various types. When Rome wasn’t even founded and before Homer was born, on the fertile flood plains of the Yangtze River, in the heart of the Asian continent, various fragments of popular wisdom were put on paper to give humanity a way of analyzing situations that come up in life that have provided a formidable tool to help us to decide for the best. This tool, based on the dynamics of nature, has kept its power unaltered for millennia, arriving in modern society intact with its ability to direct us toward a more knowledgeable understanding of the present and, as a result, the future. This tool is a book available to all who have the will, ability and humility to use it to better their future. 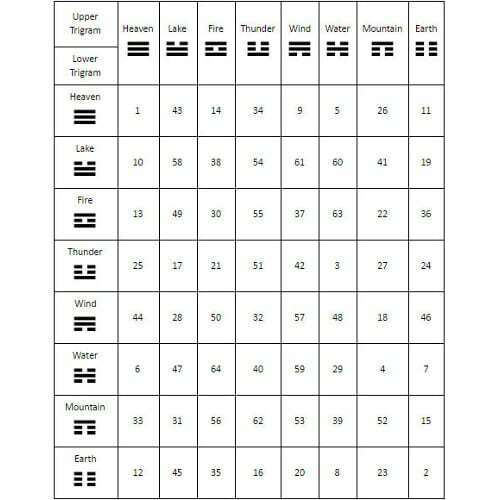 This tool is the book of changes, also called the “I Ching”. Born in 1974, I graduated in Industrial Chemistry at the University of Bologna. Driven by the passion for travelling, I've visited many countries in Europe, in South America and Asia. Since 2003 I have worked in various companies, mostly as quality assurance and waste management manager. I am currently in China to study Tai Chi, Chinese language and culture, living between Guangxi and Guangdong Province where, in Foshan, I work as quality, work safety and plant maintenance manager.